It is critical for the long-term success of conservation initiatives that we strengthen links between people living in communities and the adjacent game reserves, building a connection between people and nature. This will allow empathy and understanding to develop between these two spheres and importantly, highlight opportunities for interested individuals to engage with wildlife and conservation. Somkhanda Game Reserve, one of South Africa’s first community-owned reserves, was established by the Emvokweni Community Trust, in partnership with WILDLANDS. Through an intensive reintroduction programme, populations of key species have been reintroduced with the aim of attracting tourism investment and conserving endangered species. Ongoing priority species monitoring is carried out by Wildlife ACT. The decision by the community leadership to establish a game reserve was a progressive one, intended to protect natural and cultural heritage while enabling economic activity for its people. It is in this context that Wildlife ACT also carry out the Somkhanda Community Conservation Programme. The aim of the programme is to inspire the youth through structured curriculum-based four-day kids camps and provide skills training and career guidance through a conservation ambassador programme for school leavers. Through constant engagement and support, Wildlife ACT works to develop a generation of conservation-minded individuals. This is a long-term initiative, requiring constant and ongoing engagement to yield results over time. Over the last year, the conservation ambassador programme has started to see tangible results and successes of the ongoing engagement. With the kid’s camps having started in 2011 with the first group of Grade 6’s, the founding cohort have recently matriculated. The success of that early engagement has been reflected by the number of youth now entering the conservation ambassador programme as school leavers, eager to develop themselves further and identify opportunities for themselves in the conservation and tourism sectors. 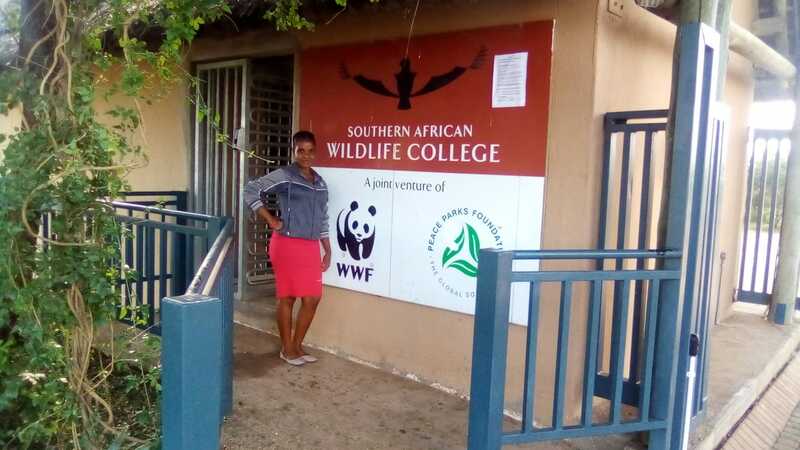 One such individual, Celimpilo Ngema, a former grade 6 participant of the kids camps in 2011, and more recently a Wildlife ACT Conservation Ambassador, realised her dreams when she was selected by the Southern African Wildlife College to receive a bursary to study conservation in Limpopo. “This is dream come true for me and I give special thanks to Wildlife ACT,” says Celimpilo.“They came in to our area (Mandlakazi Community) in 2011 to introduced themselves and their work to our schools and, as a kid growing up next to a game reserve and with no previous opportunities to visit and understand what was happening inside Somkhanda, the kids camps were such an exciting opportunity for me,” she confirms further. “As a first introduction to wildlife, the camp programme and the way it was run by Wildlife ACT made us feel at home and the experience has stayed with me ever since”. Through the Community Conservation Programme, Wildlife ACT aims to continue this trend, enabling and empowering the youth from communities adjacent to game reserves to find and develop their own strengths, and through a structured process, be guided towards valuable opportunities in conservation and tourism. The work is reliant on generous contributions and support from organisations such as Wedgewood Crafted Confectionery and we look forward to building this partnership into the future, thus allowing successes in the Somkhanda community to continue. ← Why Choose Wildlife ACT?